Teams have no time to catch their breath as they immediately open the next clue telling them to fly to Doha, Qatar! Teams will make their own flight arrangements getting on any one of four flights: Gulf Air arriving at 9:40pm, British Airways arriving at 10:10pm and Qatar Airways arriving at 10:15pm or 12:05am. But it won’t matter because once teams arrive in Doha, they must choose a 2017! 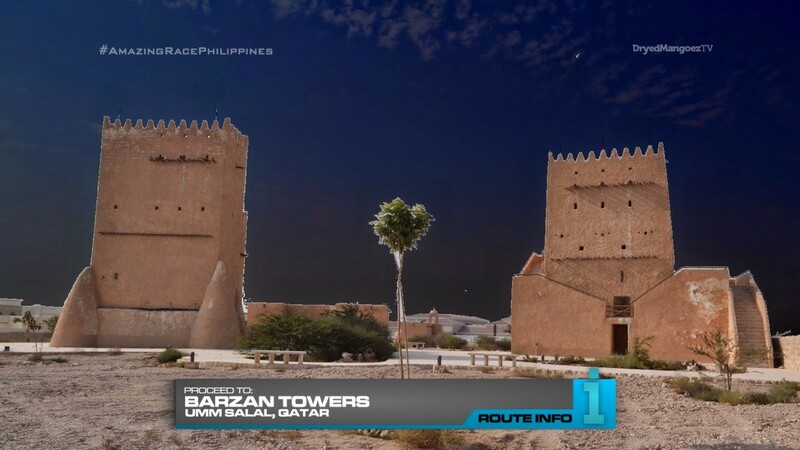 Kia Sorento and drive themselves to Barzan Towers where they will camp out overnight. All teams will be released at the same time tomorrow morning. 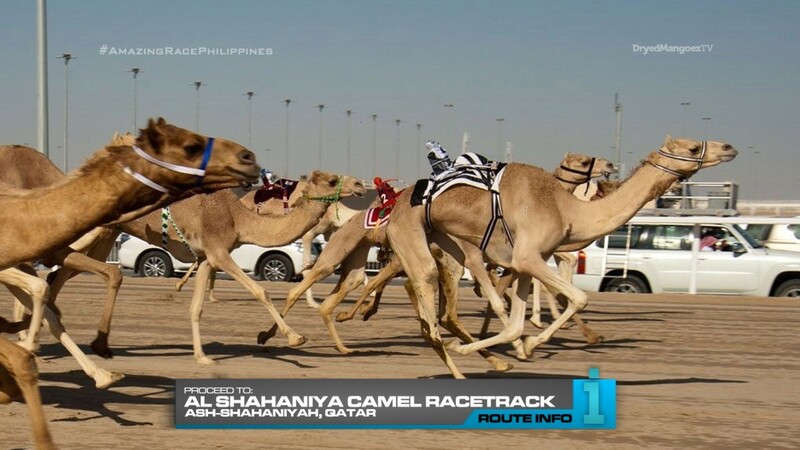 And that morning, teams must drive themselves to Al Shahaniya Camel Racetrack. Teams will find there is a Double Yield Board where they must check-in. If a Super Yield is still available, teams may use it here. 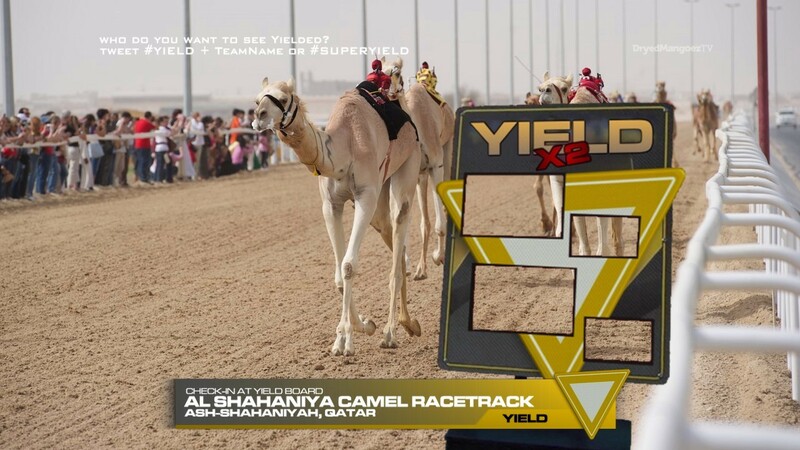 After checking in at the Yield, teams will face another Duel Duel! 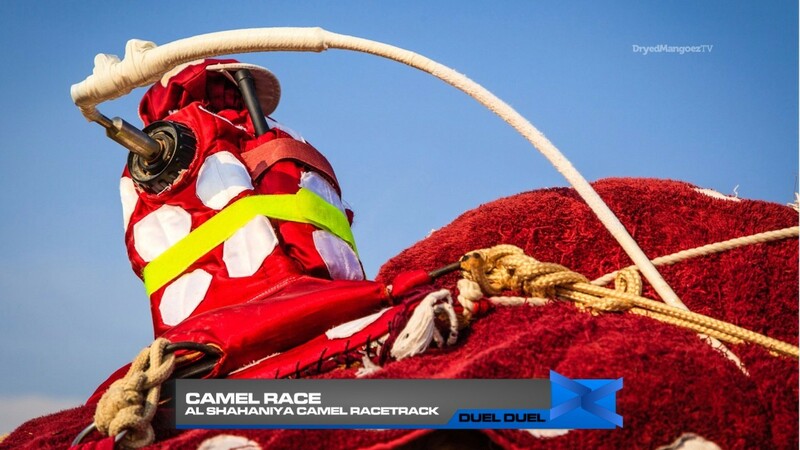 For this Duel Duel, teams will face off in a camel race where they will be controlling robot jockeys. The winner of each heat will receive their next clue. The last team to lose will need to pamper their camel before getting their next clue. 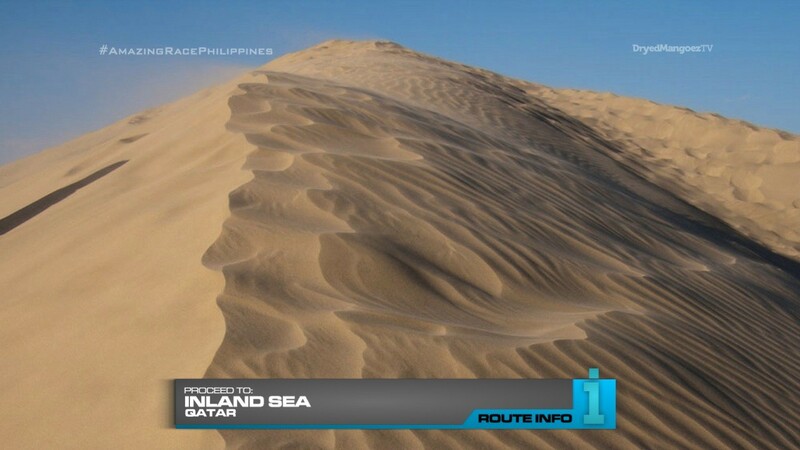 Teams must now drive to the Inland Sea where they will find the Detour: Physical or Mental. 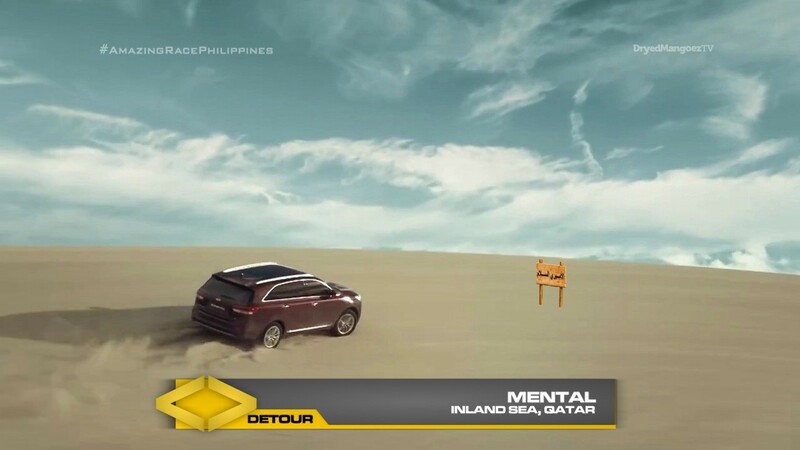 For both Detours, teams will choose a driver who will take them on a dune bashing experience, driving their 4×4 2017 Kia Sorentos over the dunes. For Physical, teams will be driven to the highest point of the dunes. They will then slide down the dunes, but must then walk back up the dunes using sand skis. 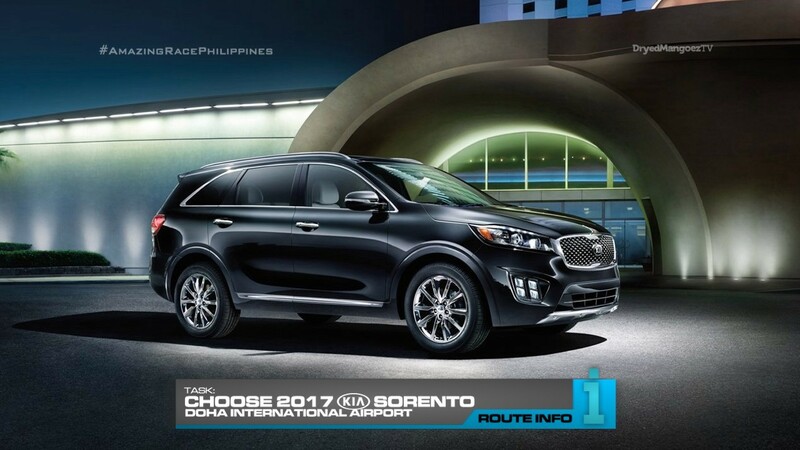 Once they’ve reached their all new 2017 all-wheel drive Kia Sorentos, their driver will take them back to the starting point where they will get their next clue. In Mental, teams will be driven over the dunes. Along the way, teams must spot a sign board with the title of the Qatari national anthem written in Arabic: ” السلام الأميري”. Teams must remember the two words as best they can as they are driven back to the start. They will see a grid of various Arabic words and choose the two that will spell out the title. Once they’ve chosen the correct two words and placed them in the correct order, they will get the next clue. If not, they must repeat the course. After the Detour, teams are told to find “Orry” on the Corniche. 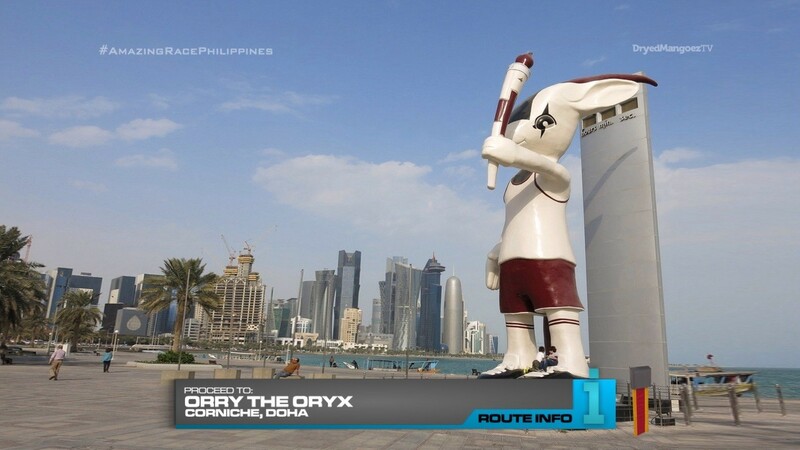 Teams will need to figure out Orry is the oryx mascot from the 15th Asian Games who stands along the Corniche in Doha. The clue here will tell teams to find the dhows in the harbor on foot. Once they do, they will find the Road Block: Are you dhow for this Road Block? For this Road Block, teams must help repair a dhow. 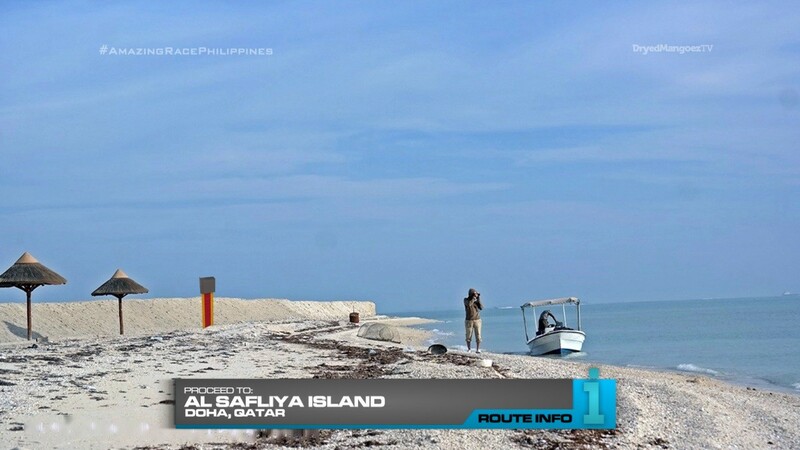 Once ready, both team members will take the dhow to Al Safliya Island. 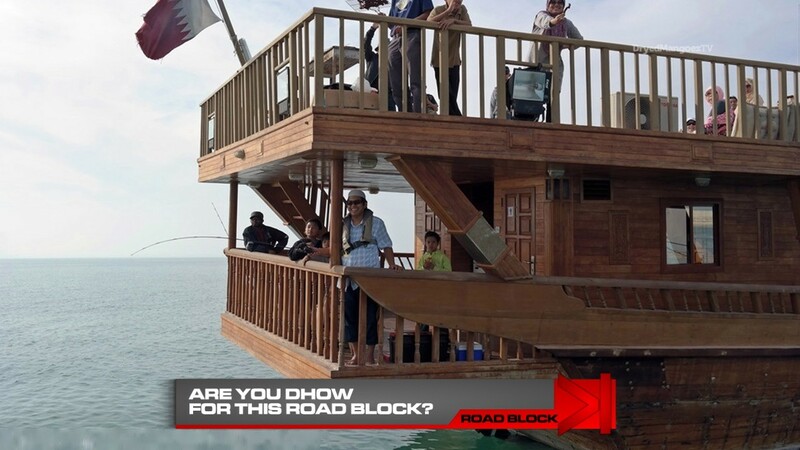 The Road Block participant must then jump out of the dhow and swim to the island to grab their next clue. 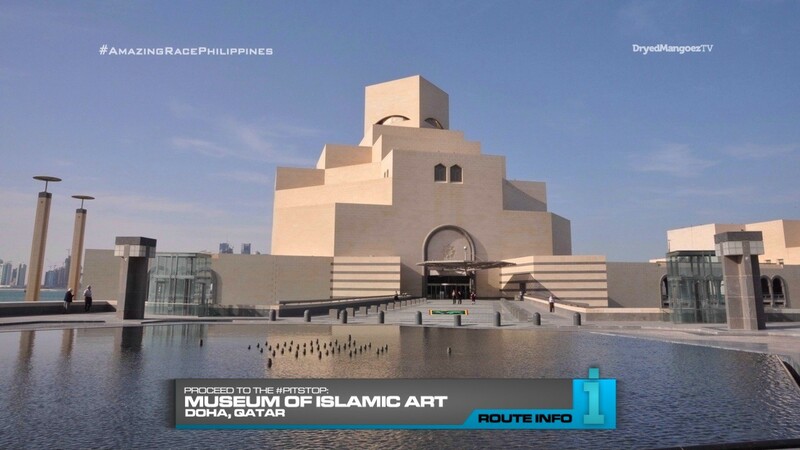 Teams will be taken back to the Corniche where they can hop back into their brand new 2017 Kia Sorentos so they can drive themselves to the Pit Stop: The Museum of Islamic Art. The first team to check-in here will win P200,000 courtesy of the good people at Shell V-Power Nitro+. This is a very full Leg. And I love that! Qatar is definitely a country that should be visited on TARUS. And it apparently was a set location in a recent season, but they had to pull out at the last minute. 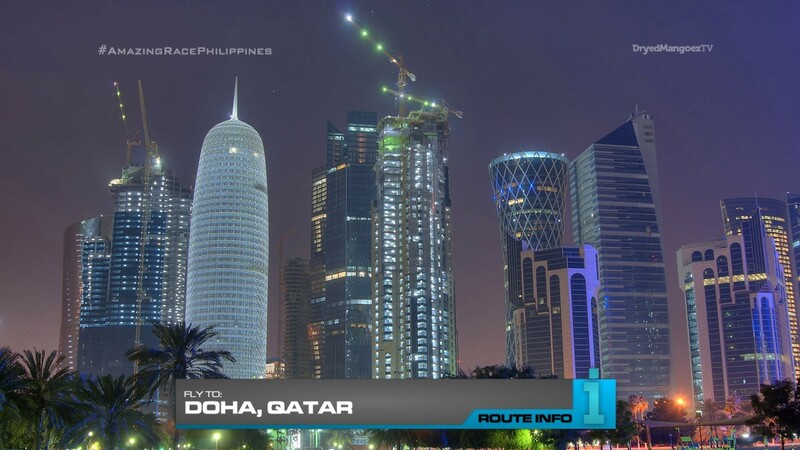 Filipinos traveling to Qatar should be no problem though. They’d probably find plenty of Filipinos who work in Qatar to help them on this Leg too. But a visit to Doha is a nice pairing with the visit to Bahrain. This Leg starts out with a nice camp out at the Barzan Towers. I don’t even know if you’re allowed to, though I see it is open 24 hours. They can make an exception for TARPH. Woohoo! It will definitely be a once in a lifetime experience to spend the night camping out in the desert. Very interesting. 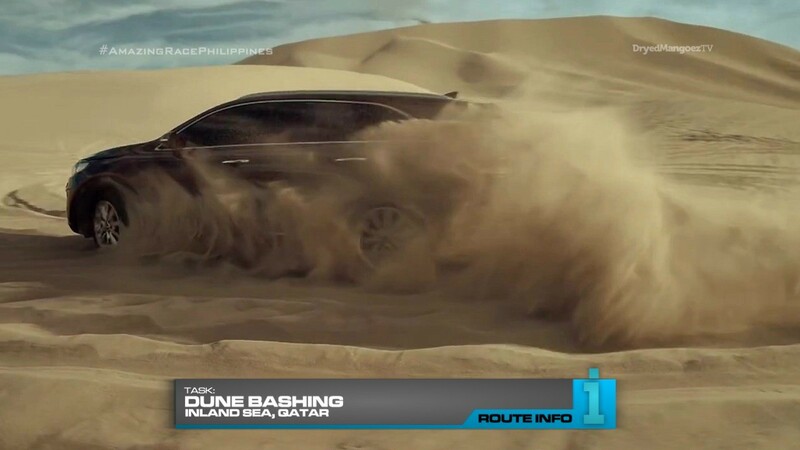 The dune bashing is a must as well. And I really like this Detour too. If it wasn’t for the Duel Duel, this would be a good Detour to have a U-Turn on. Both should be very interesting and challenging for the teams. 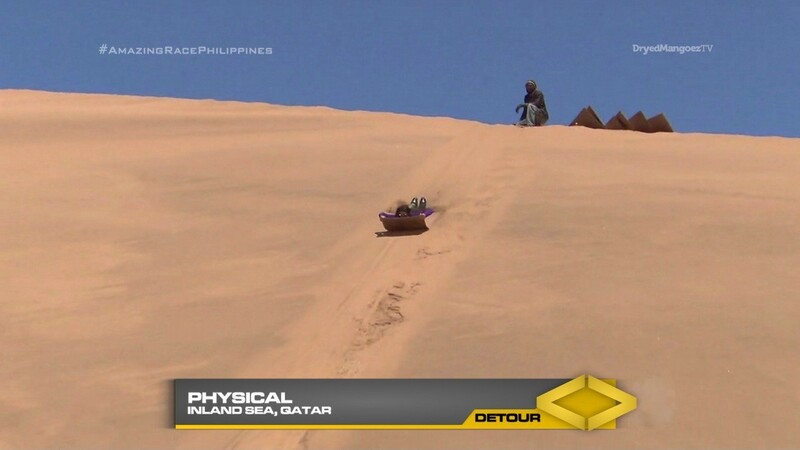 The Physical side of the Detour may be very difficult with the heat and the difficulty of skiing up sand. The Mental side of the Detour will be interesting because teams could easily get it on one go. But of course, the board of words would have to have several similar-looking options. That would certainly trip up teams who don’t know how to read Arabic. Finding Orry is just an extra challenge for the teams and a jumping off point for walking to the dhows. The dhow Road Block is simple and straightforward and gets teams in the water. Overall, I think this could be a very good Leg. Maybe an Emmy episode!